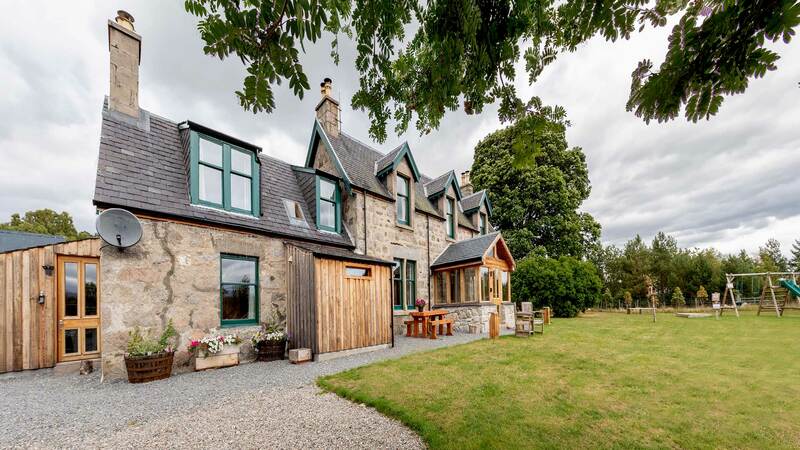 The Mountain Grange is a luxury Highland property set in the very heart of the Cairngorm Mountain Range. The little sister of Big Husky Lodge, beautifully furnished throughout and recently renovated to the highest of standards, the Mountain Grange will take your breath away and steal your heart from the moment you arrive. Comfortably sleeping up to 15 guests; with 3 Signature Bedrooms, plus Master Bedroom, Hot Tub, Sauna, 3 Wood Burning Stoves and Games Room. The Mountain Grange Lodge is perfectly situated in the peaceful Scottish Highlands to experience the many activities on offer – whether you are a family that loves the great outdoors for walking, hiking, cycling and kayaking, or a family group gathering for a reunion or special birthday celebration – this luxury lodge is the ideal place to relax in the most beautiful and restful surroundings of the Scottish Highlands. Finished to exceptionally high standards, this self-catering lodge boasts beautiful views that are perfectly complemented by its modern additions of; hot tub, sauna and beautifully presented bedrooms. 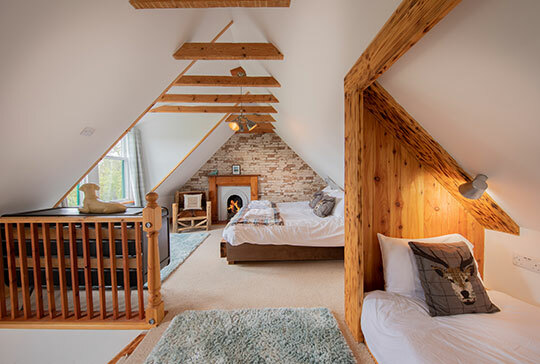 The lodge features 4 signature bedrooms – Super King Master bedroom with en-suite, Shabby Chic King Size with en-suite, Baroque Super King with Chesterfield Bed and ensuite, and Rustic Family Room with Double Bed and 3 single beds. 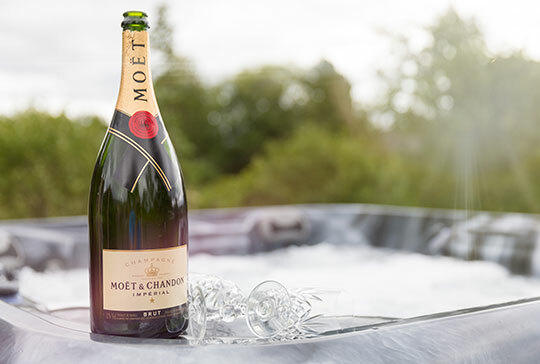 The Mountain Grange features an amazing Spa Area with Sauna, Hot Tub and Wilderness Showers. Indulge yourself in the hot tub under the beautiful Scottish skies or soothe those tired legs in the sauna after a rugged Highland walk through the Cairngorms Range. 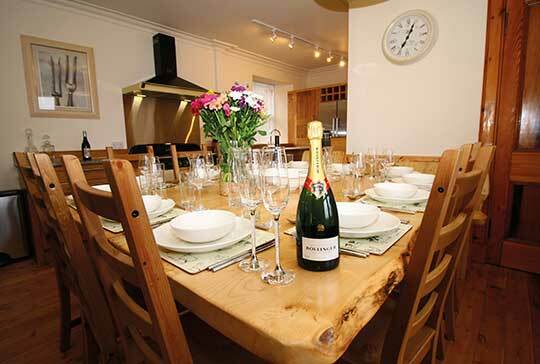 Mountain Grange features a large family kitchen, perfect for family gatherings, the heart of every home, fully equipped with the latest appliances to prepare your favourite family dish and enjoy in the tranquil setting of the Cairngorms situated within the Scottish Highlands. 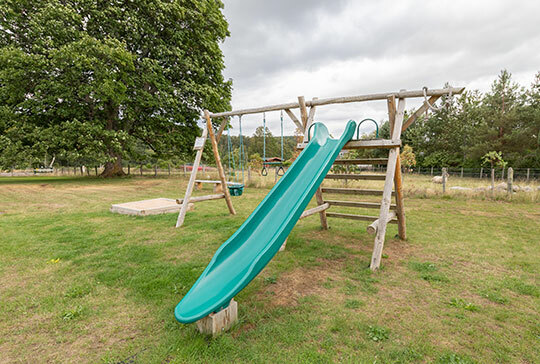 We have a safe area for your children to play and enjoy the peaceful family setting, making it a trip to remember with stunning views. Within our secure grounds, you have peace of mind of your children’s safety within the huge grassed area of Mountain Grange, the whole family can enjoy. Whether you want to bring the family together for a wedding or reunion, or to tire out even the most energetic of children – the Highlands of Scotland offers more choice than you could imagine. 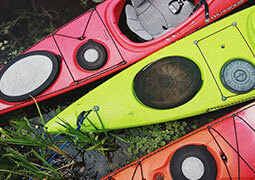 From kayaking on Loch Morlich and quad biking experiences to hours of adventure in the Landmark Centre, Aviemore. 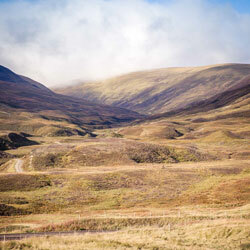 The majestic Cairngorm Mountains also offer many opportunities for sports, walks, climbing and nature watching. Aviemore’s beautiful freshwater loch with amazing sandy beach hosts a variety of watersports including; kayaking, sailing and windsurfing. The Landmark Centre will entertain the whole family – enjoy the 360˚ panoramic views of the tower, take the monkey trail and water flumes, or get close to nature in the Tropical Hot House. 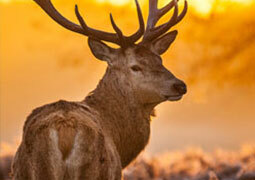 The Cairngorm National Park is home to some incredible scenery, walks and wildlife. The great outdoors for all the family on the doorstep of Mountain Grange. 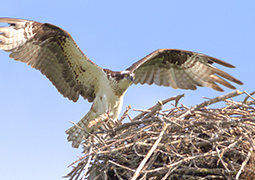 Be amazed at the family of Ospreys at Loch Garten who return to breed and admire them as they dive for fish in the Loch. 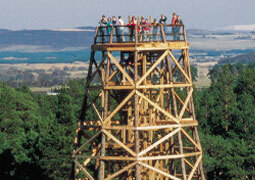 Binoculars and telescopes on hand for kids and adults. 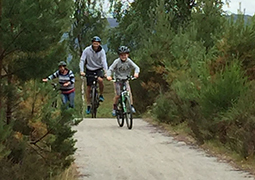 Aviemore’s and surrounding areas boast beautiful cycle paths that are safe for the whole family, where you can take in the awe-inspiring landscape of The Cairngorms. 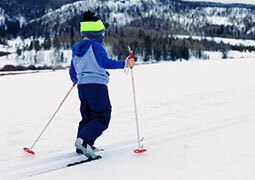 The Cairngorm Mountain is best known for skiing and snowboarding – it’s height holds the snow well and Mountain Grange is a perfect base to enjoy the skiing season.